We are proud to provide Chandler house cleaning services here at Pretty In Pink Cleaning. We work in teams of two cleaners that bring their own equipment and supplies to clean up the house for you, regardless of the size of the place. We do house cleaning, office cleaning, carpet cleaning, and junk removal. We always strive to work our hardest to exceed your expectations. We have various options available to make sure that we meet your needs for your Chandler house cleaning. All of our rates are affordable and competitive. We make sure that our service is detailed and superb cleaning services. Flexible and convenient to meet your schedule. One thing that you should know is that not all companies are license and insured like us, something that is very important. Make sure you have trustworthy and reliable cleaners in your very own house. When you schedule a Chandler house cleaning service our friendly secretary will make sure we meet your needs. We can customize a cleaning quote according to what you need. Also, for you convenience we have a online scheduling web form click here to go to it. We are more then excited to serve you. Looking at getting house cleanings every once in awhile? We make Chandler house cleaning easy and affordable with our membership program. Click here to check out membership and see how you can save on any future cleanings with Pretty in Pink Cleaning of Phoenix, Arizona. We stand by our work. For a business to succeed it has to make sure that the customers are their number one priority and that customers are happy. We grow our business off from referrals from our clients and we can not wait to serve your friends and family that we know you will be more than comfortable referring to us. 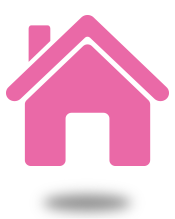 Pretty In Pink House Cleaning not only serves in Chandler we also serve in Gilbert, Scottsdale, Tempe, Mesa, and Phoenix metro area. Give us a call today at 602-909-7002 to schedule your next Chandler house cleaning.